Conscience rests within the heart of equity, yet it is a manifestly nebulous and contradictory concept. In particular, equity has never been clear about exactly whose conscience we are concerned with: the Chancellor or judge, or the court, or the defendant? Furthermore, in some lights conscience appears to compel obedience to the authority of law, whilst in others it gives expression to ethical drives that escape the formal strictures of legal rules. 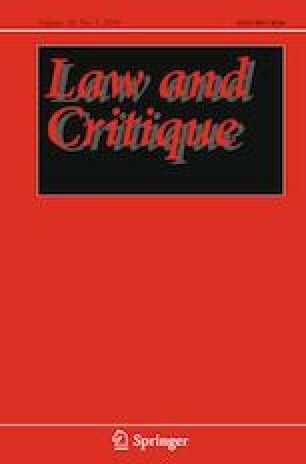 Contextualised within the broader history of ideas of Western modernity, this article sets out to understand the rhetorical significance of conscience in equity, making the argument that its disparate and contradictory modes of expression do not undermine its significance, and instead are essential to its construction of juridical obligations. By invoking conscience as a contradictory expression of both vertical state authority and personal ethical autonomy, equity asserts not only a unique normative structure, but also a distinct mode of power.